Clamor Along The Klamath, Sports Illustrated Si Vault, 6/4/79. "Del Norte County Sheriff Tom Hopper and his men stopped a truck on Highway 101 carrying 650 salmon and one steelhead worth some $60,000 to $70,000. " Klamath River fish are being sold to points as distant as Reno, San Diego, Los Angeles, Denver and "maybe even as far as New York..." As told by Yurok, "The Indians who are now gillnetting the salmon to death are fishing drift nets in the mouth of the Klamath. They say they're fishing 'traditionally.' That's bunk, too. Nobody ever fished the mouth in the old days. It was too far away, and who could paddle those big, cumbersome canoes back upstream? These gill-netters say that the old Yuroks traded salmon with other tribes, and thus they justify commercial fishing. That's a lie. The old Indians believed it to be a sin to sell or barter fish. There used to be a fall run of big salmon in the Klamath—we called them 'kings.' They were big fish, 60 pounds or more. We wiped that run out about 1945." Comment period extended to TODAY, Dec 30. on KBRA/KHSA Klamath dam removal settlement EIS/EIR report. The following are comments to the Klamath Facilities Removal, Public Draft, EIS/EIR by Werner F Hoyt, Mechanical/Marine Engineer, pdf 12/30/11. HERE for Word Document. . "...The basic premise of the removal is the requirement is to restore upper basin as salmon and steelhead habitat is a predetermination of the KRBA. Evidence not presented in the EIS/EIR is that there was not habitat above Keno due to the reef at Keno. In absence of the Keno Dam the natural reef would prevent any migration further into the Klamath basin. Coho were introduced in 1895 by DFG...."
Klamath Agreement: HATCHERY FOR STREAMS OF KLAMATH. Fishway Over Copco Dam Found to be Impracticable, by J.C.Boyle. No free lunch in Klamath deal, Capital Press Letter by Edward Bartell, Orovada, Nevada 12/29/11. Also titled Endless negotiations won't accomplish much in the Herald and News. "They have a unique negotiation strategy; refuse to participate in litigation, so they have no chance of prevailing in court; agree to support the Klamath Basin Restoration Agreement, which supports granting the tribes what they want up front, (dam removal, 92,000 acres of deeded land, millions in fishery money, etc. ), thereby surrendering potential leverage, without guaranteed protection from tribal in-stream claims." KBRA -Is benefit worth requirements? by Gus deVries, H&N letter, posted to KBC 12/6/11. "Is a 1/2 cent of possible benefit worth all the requirements, which include but are not limited to: dam removal; KBRA; tribal in-stream claims; tribal land gifts; permanently downsizing irrigated agriculture in both the upper and lower Basin; and a total price tag into the billions of dollars? Remember, there is still no ESA or biological opinion protection, so therefore, no certainty of water availability." 2,000,000 Ten Yard Dump Trucks of Hazardous Sediment! Save the Dams, posted to KBC 11/27/11. "The sediment chart below is a brief on the 20 million (20,000,000!) cubic yards of sediment debris captured behind the four Klamath River dams that will be released with dam removal." Klamath Dam removal could be a calamity: Commentary by Ph.D. Menke on Dan Walters article: Warren Buffet and Oregon farmers could get a gift from California taxpayers, Sacramento Bee, 11/27/11 Klamath Dam Removal Parts 1 and 2, by Siskiyou County Supervisor Marcia Armstrong, posted to KBC 11/26/11. KBRA - Loss for irrigators circulates through economy, community will feel the short- and long-term stresses put on Basin growers, H&N 11/23/11. "Unfortunately dam removal has been tied to the much less discussed retirement of 30,000 acre feet of water from the Upper Klamath Basin...off-project irrigators will be forfeiting the irrigation of 20,000 acres for prime pasture and hay land that generates upwards of an average of $500 gross return per acre annually. This comes to a figure of $10 million raw dollars which in many cases circulates through the community three times for a total of $30 million of economic impact..."
Reposted 11/12/11 - Senator Doug Whitsett speech regarding the KBRA and Klamath dam destruction at Yreka's public listening session put on my Department of Interior on 10/20/11. "The Draft Environmental Impact Statement does not appear to mitigate that 20 million cubic yards of sediment. The Department apparently proposes to simply blow the dams and let nature take its course, washing all that sediment downriver. They appear to consider this option as a “grand experiment” to see what actually happens. That amount of sediment is equivalent to about 2 million ten yard dump truck loads of silt, sediment and organic muck. To put that amount into perspective, lined up head to tail, 2 million dump truck loads of river muck would stretch about 12,500 miles…..about half way around the planet." KBRA supporter Jason Chapman was strongly defeated by KBRA opponent Grant Knoll for the KID/Klamath Irrigation District board of directors Rep. Tom McClintock released the following statement in response to Klamath legislation expected to be introduced by Sen. Merkley, 10/10/11. "“Amidst spiraling electricity prices and chronic electricity shortages the effort to tear down four perfectly good hydroelectric dams at enormous cost to ratepayers and taxpayers is insane. These dams produce up to 155 megawatts of the cleanest and cheapest electricity on the planet – enough for 155,000 homes..."
*** Letter written to federal officials (letter by Tom Mallams off-Project group to Secretary of the Interior Ken Salazar), H&N, posted to KBC 11/5/11. Link includes KBC RESPONSE H&N includes statements and name-calling by Becky Hyde, employee of SNW / Sustainable NW. Hyde is a voting member on the KBRA negotiation table. SNW President has ties with World Wildlife Fund and United Nations Foundation (funding by George Soros), and Summit Charitable Foundation, owned by Roger Sant. The company in a five year span granted Sustainable NW $342,875. The funds come from Sant's company AES, worldwide developer of power in 29 countries, power including coal, gas and renewable energy. District 4 (Siskiyou County) Supervisor Grace Bennett: My personal view of the KBRA, Siskiyou Daily News, posted to KBC 11/4/11. "If the decision is made that the dams are to be removed and the Congress of the United States passes legislation to enact the KBRA, over a billion dollars will be spent on still more restoration projects over the next 10 years...A total of $385 million would support implementation of the water deal – things like paying for farmers to idle land and not farm, provide lower power rates to pump water, $65 million for tribal economic development and environmental management; each tribe will also get $14 million for fisheries management... there are no provisions to improve the quality of the water after it has gone through the Klamath Project and the Wildlife refuges and is returned directly to the Klamath River. No provisions to restore the lakebeds after the dams are removed. No provisions for repairing the road below the dams used to haul off the debris of the dams. No provisions to remove the sediment that will be allowed to wash down the river suffocating spawning grounds. No provisions for flood control; the dams give us nine hours to prepare for a flood event. No provision to make the water line for the city of Yreka safe. No provision for the protection of the Shasta Tribal burial sites and their ceremonial site, which are under the lakes..."
Concerns of dam removal, letter by Dean Harris to Siskiyou Daily News, posted to KBC 11/4/11. Dr. Richard A. Gierak’s comments on federal agencies environmental assessments regarding removal of 4 hydro-electric dams on the Klamath River – posted to KBC 10/29/11. " Protesting the removal of 4 Klamath River dams to the Oct 20 Public Hearing on Klamath Dam Removal EIS/EIR in Yreka, posted to KBC 10/27/11. "My name is Don Mackintosh and I own a ranch on Hoy Road in Weed. I am retired and spent 28 years with PG&E involved in power grid planning and operations. In listening to the three minute public comments, I heard several false statements given by two speakers stating that 4 hydroelectric dams were old, worn out, needing repair, and did not produce much power. A05-12011 Don & Judy Mackintosh/PacificCorp, 100 filed documents which we won. dams are well maintained in good condition. The power they produce is clean cheap efficient dependable power which can be upgraded and last forever..."
Klamath Bucket Brigade Testimony – Oct 18, 2011 – Dam removal hearing, posted to KBC 10/25/11. "...The Klamath Bucket Brigade is adamantly opposed to dam removal and the Klamath Basin Restoration agreement and the Klamath Hydroelectric Settlement Agreement as they are currently constituted. The agreements represent a minority of special interest groups and spreads the cost to every U.S. taxpayer. The Klamath Bucket Brigade Board of Trustees will support an agreement backed by a majority of the residents of the entire Klamath River Basin and that assures all property and water rights are protected..."
Letter from Vice Mayor of San Carlos to San Francisco Examiner on Klamath Dam deal decimating Siskiyou County 10/25/11. "Their fight is against the Secretary of the Interior, Ken Salazar, who is pushing for removal of four dams on the Upper Klamath River... Mining was shut down because of the environment and jobs were lost, families moved away and the economy suffered. Timber and milling were shut down, leading to the same results. Now the battle is over the river, the single, last, life blood of the area's almost dead economy." The Lesson of 2001 by P. Henry, posted to KBC 10/25/11, "The removal of dams will only bring higher power rates to farmers, ranchers, manufacturers and residents of the Klamath basin. Meanwhile it is unprovable that fish of the Klamath basin will return to some utopian level no matter how hard men may try." Open letter to DOI Secretary Ken Salazar on Klamath Dam destruction survey, by Richard Marshall of Marshall Ranch posted to KBC 10/21/11. "The fact is Mr. Secretary that apparently the issue is not about saving the fish or destroying the dams. It is about transferring nearly $1.7 Billion taxpayer dollars to various environmental groups and a few Native American tribes through the KBRA." Neighbor Against Neighbor - Klamath Falls - On October 18, Department of Interior held it's public input meeting on the EIS, Environmental Impact Statement, on the controversial KBRA and Klamath dam destruction. 300-400 attended, 65 spoke, and 2/3 of those who spoke opposed the KBRA and destroying the 4 Klamath hydroelectric dams. To the left are those opposing, to the right supporting. Interior listened to more than 4 hours of comments. KBRA (Klamath Basin Restoration Agreement) Storyline...by: Klamath County Commissioner Linthicum, posted to KBC 10/15/11. "the amount of water available to agriculture will be limited. Any water, above the allocated amount, that could be available will NOT be saved, stored, or used, but will instead spill into the salty Pacific...If Basin farmers want cheaper power rates, then, inexpensive power generation will be required. Demolishing existing infrastructure and reducing power generation capacity will not create lower rates. Klamath dam removal and turbidity double standard, Senator Doug Whitsett newsletter, posted to KBC 10/14/11. "How can we justify dumping the equivalent of two million dump truck loads of sediment into the Klamath River to expedite the politically correct demolition of hydroelectric dams, while at the same time citing and prosecuting foresters, agriculturalists and recreationalists for stirring up a little sediment in their pursuit of family entertainment?" VIDEO: Congressman Tom McClintock (R-CA), Chairman of the Subcommittee on Water and Power, in Opposition to Klamath Dam Removal. House Floor, posted to KBC 10/9/11. Groundwater rights and the Klamath Basin Restoration Agreement, response by Michael Shaw to Sacramento Bee commentary by John DeVoe, an attorney and executive director of WaterWatch of Oregon, 10/2/2011 Can we really say jobs are being created? H&N letter by Mark Slezak 9/25/11. "Oh great. We are going to “create” 4,600 jobs by tearing out the dams on Klamath River. First, I don’t believe the number, but more importantly, let’s expand the logic..."
Job Creation Through Destruction! 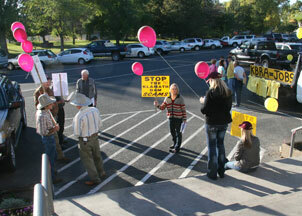 Families Protecting the Valley, posted to KBC 9/24/11 (Klamath Dam destruction). "...all I had to do was run through the neighborhood and break all the windows and it would create a lot of jobs in window replacement." We made a 4-hour dvd of Whitsett/Garrard/Gilman public input meeting in 2009, where there were 4 hours of mostly solutions, and comments. Following is the 12 minute edited version of this event. KWUA, Klamath Project irrigation districts, UKWUA, and Family Farm Alliance director all boycotted that meeting and held their own “strategy” meeting with the tribes at the same time. 300 came, 81 spoke, 40 additional attendees submitted written testimony. Everyone who spoke or wrote opposed the "agreements." Approximately 50 people were there from the Klamath Project, 200 Off-Project, and 30 Klamath Basin citizens. California U.S. 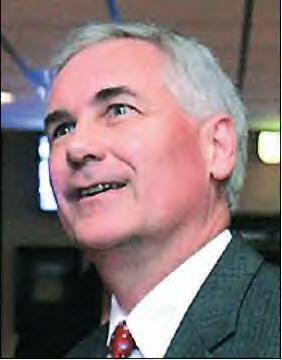 Congressman Tom McClintock speech on the House floor regarding Klamath Dam destruction 9/22/11. The case of the missing steakholder, by Klamath County Commissioner Dennis Linthicum, posted to KBC 9/18/11. "What is a stakeholder? Shouldn't it be the guy with the biggest 'stake'?...Who is coughing up the $1.5 billion?" U.C. Davis Professors Peter Moyle and Jeffery Mount to USFWS and Calif. Resources Agency regarding Klamath dam removal studies, 11/16/07, Posted to KBC 8/19/11. "We think that existing studies (primarily in the ‘gray’ literature) are inadequate to provide reliable predictions about the effects of dam removal. Most notably, there has not been a systematic, comprehensive assessment of the impact of dam removal on native fish populations of the Klamath, particularly salmonids. This is surprising because the primary motivation for removal of the dams is improvement of these populations." Coho coordination, Siskiyou Daily News 8/17/11. "...NMFS gives little credit for the work that is already being done. The plan doesn’t provide an alternative to dam removal, blames low flows on the agricultural community, erodes property and water rights, and offers very little advice as to what needs to be done to make recovery possible." Future Electric Rates, by Klamath County Commissioner Linthicum 8/18/11. Worm polychaete parasite on the Klamath, scientific opinions regarding dams and worms 8/10/11. HERE for biography of John Menke PhD. Klamath Basin Hydropower Settlement Agreement (KHSA) and Klamath Basin Restoration Agreement (KBRA) meeting held in Orleans in mid-June, 2-Rivers Tribune, 2_Rivers Tribune, posted by KBC 8/7/11. Opinions by Patrick Higgins, McKinleyville, editor Diane Beck, Scott Valley ranchers Mark Baird and John Menke, PhD. "Dam removal is a hoax, and aside from paying the “stakeholders” billions, will not save the fish. How does the purchase of a 92,000 acre property for the Klamath Tribe save the fish? The FERC re-license report clearly states that the Upper Klamath Basin is a naturally polluted watershed. It is volcanic and high in alkali. The dams contribute to CLEANER WATER!!! There is no conflict between agriculture and fishermen and native people except that which has been manufactured by the environmental communists who are after the money and the power." Klamath deal ends stalemate, Capital Press opinion by Becky Hyde, employee of Sustainable NW which has been hired by the Klamath Tribes, 7/22/11. Followed by response. Scoping input on the Klamath Settlement EIS / EIR Process 7/19/10, by John Menke PhD and Jennifer Menke. Purported benefits of ESA deserve 'the rest of the story,' Capital Press by Tom Mallams, president of Klamath Off-Project Water Users Association, posted to KBC 6/26/11. "Yes, the Federal Energy Regulatory Commission report estimated dam removal cost -- structures only -- to be $79.9 million in 2006 numbers...In the same report ... it states that the added cost of dam removal because of the sediment issues could be between $1.4 billion to $4.4 billion. I don't know about you, but I have never seen a government estimate come in at the low number." Wrong and un-American, by Bob Lopes for Siskiyou Daily News, posted to KBC 6/26/11. "I hope that all fair-minded citizens of Siskiyou County see that he (Craig Tucker) never addresses the damage done to king and coho salmon by the indiscriminate take of thousands and thousands of fish by the gill nets that are strung across the river by the commercial fishing operation." (Klamath) Dam removal will do more harm than good, by John W. Menke, Record Searchlight June 13, 2011. Dr. John W. Menke, an ecologist, lives in Scott Valley. Fact vs flat out lies regarding Klamath dams and salmon: What a crock! Don’t give in, by Mark Baird, Siskiyou Daily News, posted to KBC 6/9/11. Mark Baird of Scott Valley is vice president of Scott Valley Protect Our Water and the new owner of KSYC Radio. Good ideas exist; we just have to find them by Dennis Jefcoat, response regarding giving Mazama Tree Farm to Klamath Tribes with public money by Steve Kandra, and corrections in Kandra's letter by timber manager Mark Slezak, H&N 6/10/11. "Steve should remember that not everyone supports his position or the negotiations that have lead to the Mazama Tree Farm's use in spending public money." From the archives: looking back to The Negotiations 2003-2007, Closed-door meetings where the Klamath Tribes want 690,000 acres of the Winema/Fremont National Forest returned to them again, Klamath Water Users / KWUA want water "certainty." Dan Keppen, KWUA Executive Director at the time, said, "There is simply no chance of a "secret deal" being cut on this matter." KBC NOTE: The current KWUA board did not honor that promise to their constituents. "And the Tribes have said that a water settlement is unlikely in the absence of the land return." said Bud Ullman, attorney for the Klamath Tribes. DOI Bill Bettenberg said, "At the end of the day, we have to have something where the water users, the Tribes and the broader community are all on board." KBC NOTE: 79% of Siskiyou County, nearly 50% of Klamath County, and 77% of Tulelake voters opposed the KBRA in the November vote. A secret deal was cut for dam removal and tribal land-for-water swap included in the KBRA. Klamath issues: "Protecting the Federal Hydropower Investment: A Stakeholder's Perspective" Opening Statement by Congressman Tom McClintock, Chairman, House Water and Power Subcommittee. Oversight Hearing on “Protecting the Federal Hydropower Investment: A Stakeholder’s Perspective,” posted to KBC 5/21/11. Good ideas exist; we just have to find them, by Dennis Jefcoat, Chiloquin, OR. 5/31/11. "Why are we giving away, at public expense, 90,000 acres of the Mazama Tree Farm, via the Klamath Basin Restoration Agreement, when the county could purchase the land and manage all aspects of timber and biomass production for the benefit of all citizens of Klamath County?" KHSA premise unfounded by Dr. Richard Gierak, Siskiyou Daily News, Letter to the Editor April 27, 2011, "Historically, until the dams and reservoirs were built there was no fall run of salmon as the river would turn into marshes and swamps in a dry year. The entire premise of removing hydroelectric dams on the Klamath River has no scientific validity and the KHSA was based on faulty assumptions which have been scientifically dismissed." KBRA - No one contacted us, by James Burney, Hornbrook, Siskiyou Daily News, May 16, 2011. "Today property values are falling far below the state average of 30 percent (2006-2011) because no one wants property subject to potential loss of its’ greatest assets, both aesthetic and economic." L.A. soon may atone to (Owens) valley it left high and dry, Washington Post 6/4/04. Comment 3/28/11 by Tom Mallams: "They are just now starting to water some of the dry lake bed, and there has not been any attempt to measure or study the effects of years of "toxic" dust blowing thru the communities. So much for a process moving quickly. I think this example should give the entire Klamath Basin nightmares." The philosophy of NO by Gary Horne, Montague, Calif., Siskiyou Daily News. "How many tractors, hay balers, combines, 18-wheelers, fishing trawlers, backhoes and airplanes do you see running on wind and solar power? ...When energy becomes more expensive, it costs the farmer more money to produce a crop, and a rancher more dollars to get a cow to market. It costs all of us more money just to feed our family. The average liberal environmentalist may not care, but it does negatively impact the huge majority of Americans..." KHSA Premise Unfounded, by Dr. Richard Gierak 3/26/11. "Historically: Until the dams and reservoirs were built there was no Fall run of Salmon as the river would turn into marshes and swamps in a dry year. The entire premise of removing hydroelectric dams on the Klamath River has no scientific validity and the KHSA was based on faulty assumptions which have been scientifically dismissed. The removal of the KHSA from the KBRA is of prime importance in guaranteeing future runs of Fall Salmon." They want to depopulate the earth, by Nita Still, Siskiyou Daily News letter to editor, posted to KBC 3/10/11. "It is beyond my comprehension, how this Judge Karen V. Clopton allowed our electric bills to be increased for taking out the (Klamath) dams. Craig Tucker and his bunch should pay that bill since they want them out so badly, after meeting in secret for over two years! ...Our government is using the tactics of Hitler..." Solution to whole (Klamath) dam issue wrong by Gary Horne, Siskiyou Daily, posted to KBC 3/10/11. "... blame for our situation can be laid at the feet of liberals and the environmental movement. They stop most of our oil production, tie up in court any new refineries to be built, and now they are even stopping development or use of some of our own clean wind and solar fields and hydroelectric power plants." Salmon lecture left questions unanswered, by Steve Rapalyea, H&N Letter, Chiloquin 3/4/11. "They examined 15,000 bones from archaeological sites on the Williamson and Sprague rivers...6,000-plus were from suckers and minnows, 185 from salmon...These bones were dated from 7,000 to 100 years ago...That's 185 bones in 6900 years..."
Clock ticks on Klamath's agricultural economy, Capital Press Letter to Editor by Gary Wright, Tulelake farmer and president Klamath Water Users Association. " Capital Press reader comment: "...It is time to wake up and realize that even though the KBRA was a noble idea to begin with, it took a divisive turn in 2007. This change in direction left many irrigators and the citizens themselves out of the equation, promoting nothing short of surrendering to all demands and getting nothing tangible in return...." HERE for KBC's KBRA Page. A useful dam, Albany Democrat Herald 2/11/11. Environmental Advocacy groups destroying Klamath agriculture, speech by Oregon Senator Doug Whitsett, KFLS radio, posted to KBC 2/4/11. "I believe that is time to recognize that folks such as Glen Spain, Craig Tucker and James Honey do not speak for the interests of either the irrigators, or the people, of the Upper Klamath Basin. Isn’t it time to recognize the obvious “divide and conquer” actions that are being used so successful in destroying both the unity, and the economies, of our communities? Why do we continue to extend credibility to these folks?" Mallams’, Whitsett’s opinions beat Scronce’s , H&N letter 1/23/11 Balance of politics shifts on agriculture, Walden, Herger should be motivated to follow lead of Hastings, McClintock, by Tom Mallams for H&N 1/9/11. "A united conservative block of Northwest congressman would certainly be a powerful, influential force in Washington, D.C., not only in defeating the KBRA and KHSA, but influencing other issues relevant to the survival of irrigated agriculture in our Basin." April (Fools Day) set for target release date of Klamath environmental review documents, "...exactly one year after the the Siskiyou County Board of Supervisors took a majority vote to not sign either agreement...", Siskiyou Daily, posted 1/2/11. John Spencer: Klamath River has rich history, Redding Record Searchlight, posted to KBC 1/2/11. "What am I hearing about all of this? What is all this dam removal going to cost and who will pay for it? What about lake bottom silt? How about flood control?